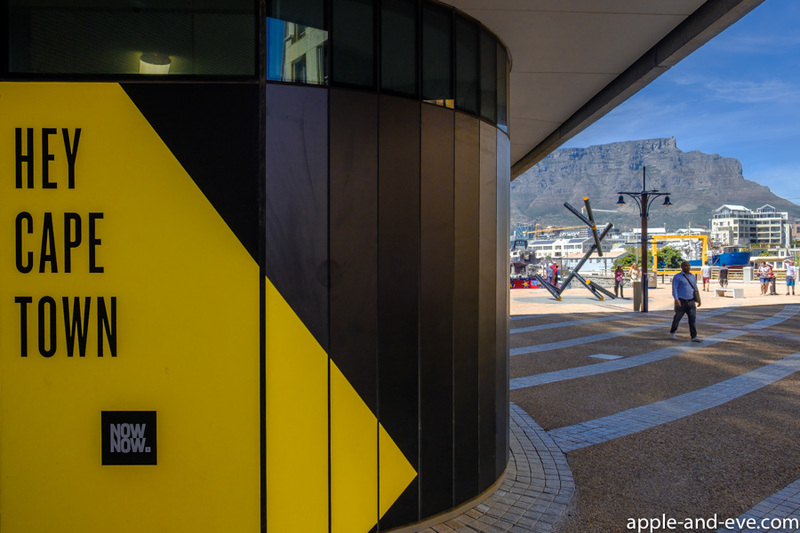 We decided to pay a visit to a new art gallery situated in the Victoria & Alfred Waterfront, a real tourist mecca situated in the heart of Cape Town. 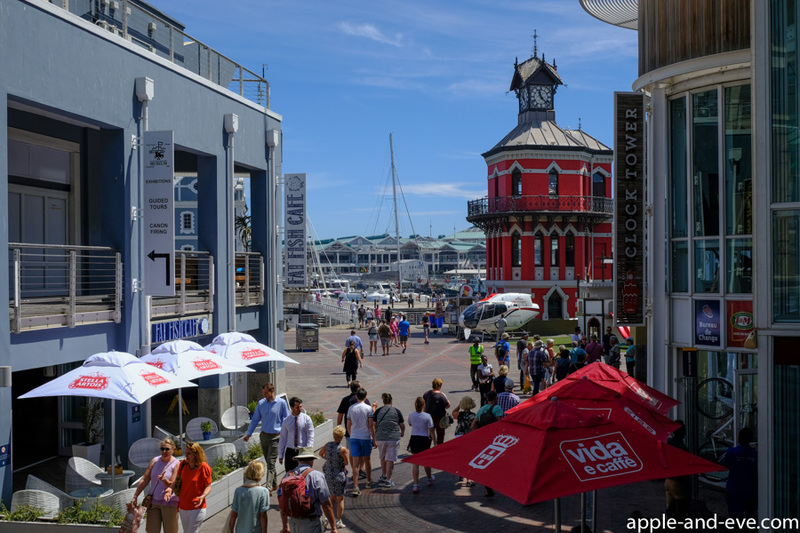 Developed some years ago, the V&A waterfront was loosely based on the same principle as San Francisco’s Fishermans Wharf, just on a much grander scale. 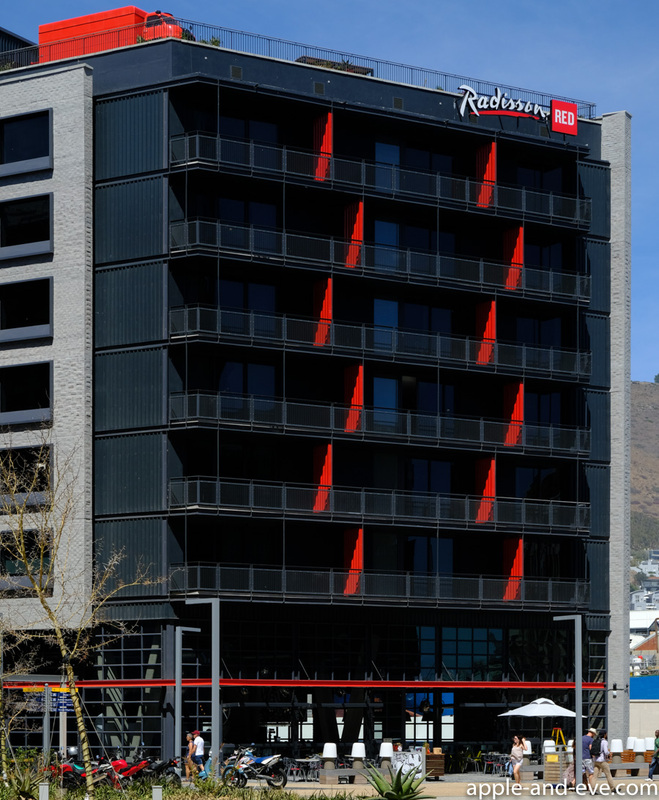 Cape Town had a large harbour area that became less used due to containerisation forcing harbour operations to relocate to another section. 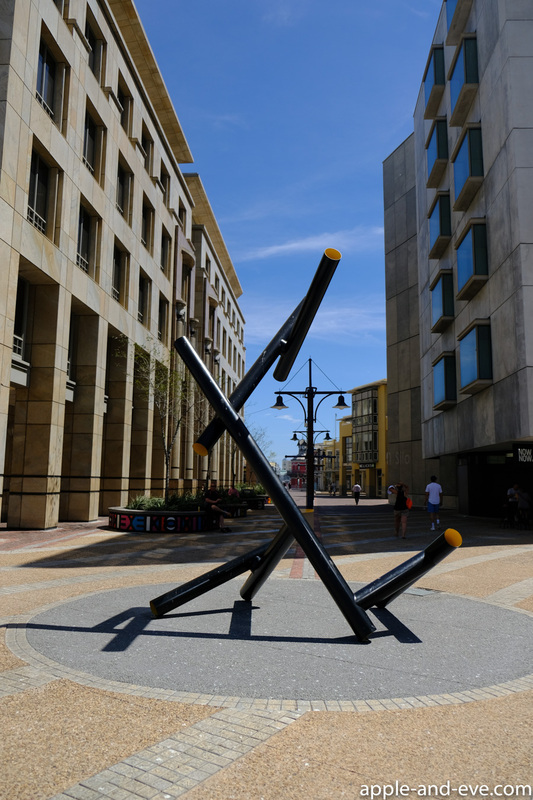 Instead of letting the old harbour fall into a state of disrepair, it was decided to develop it into a state of the art centre filled with shopping malls, restaurants, art galleries, and all sorts of tourist attractions. 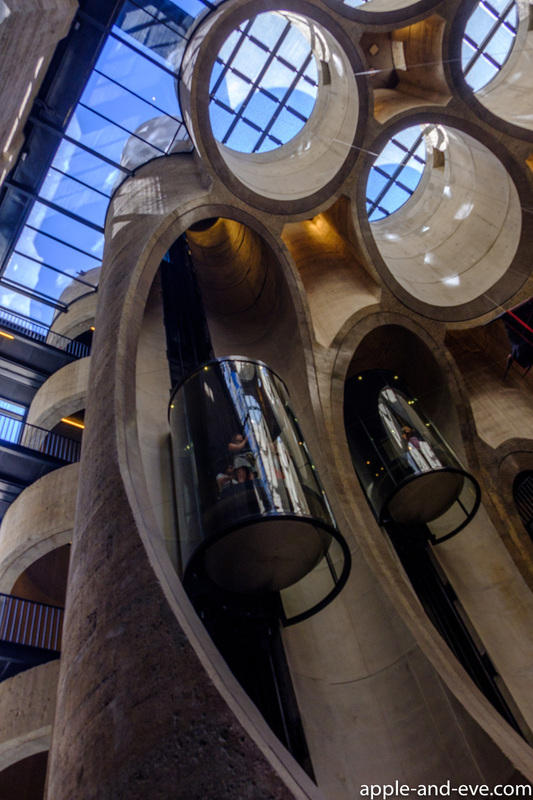 This was a huge success and over time developed into something really special, something that no tourist to Cape Town can, or should ignore. All images shot with a Fujifilm X-T2 camera, except the very last image which was shot with a Nikon D750. 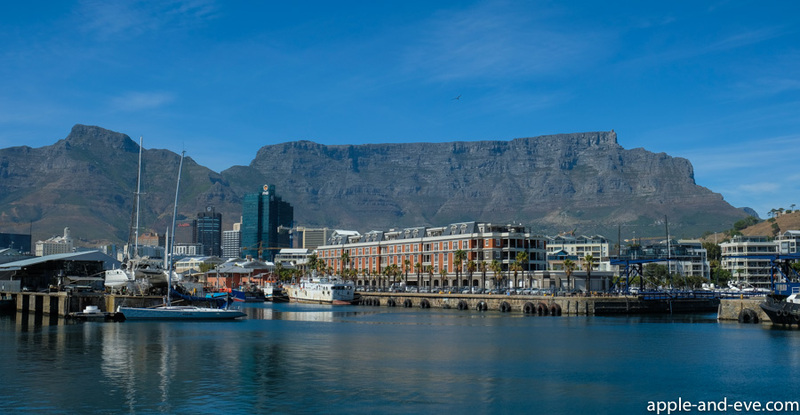 The signature view of Cape Town – magnificent Table Mountain, as seen from the V&A waterfront. 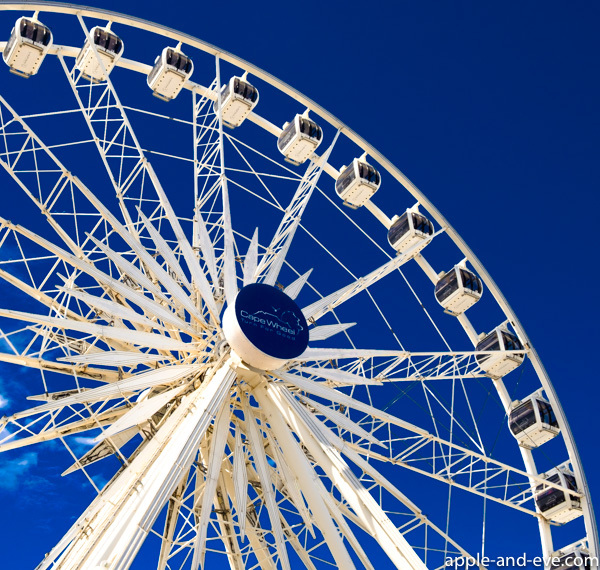 The waterfront offers something for everyone, young and old alike. I will not bore you with all the details, it’s best if you come look and experience it for yourself. The famous clock tower can be seen in the background. Yes, it is a bus on the roof! 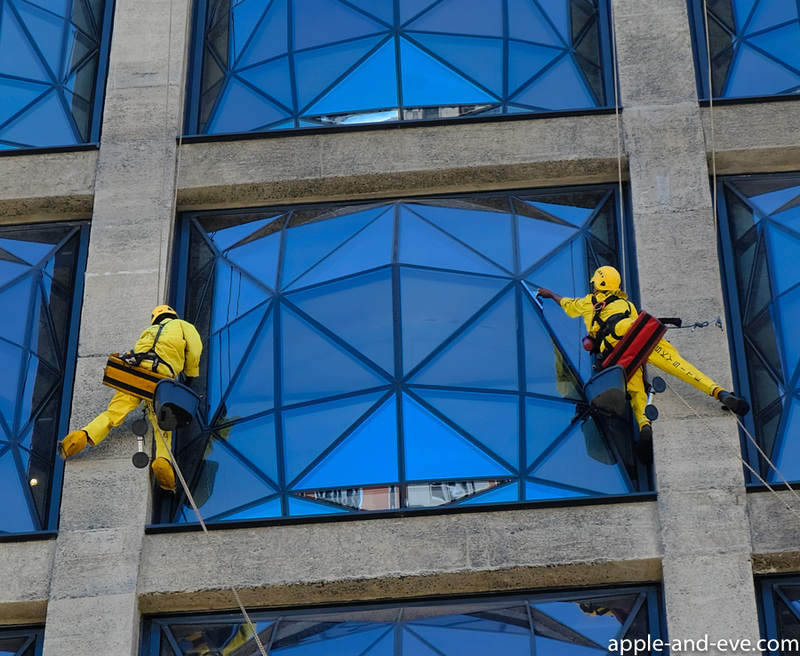 Window washers keeping it pristine. 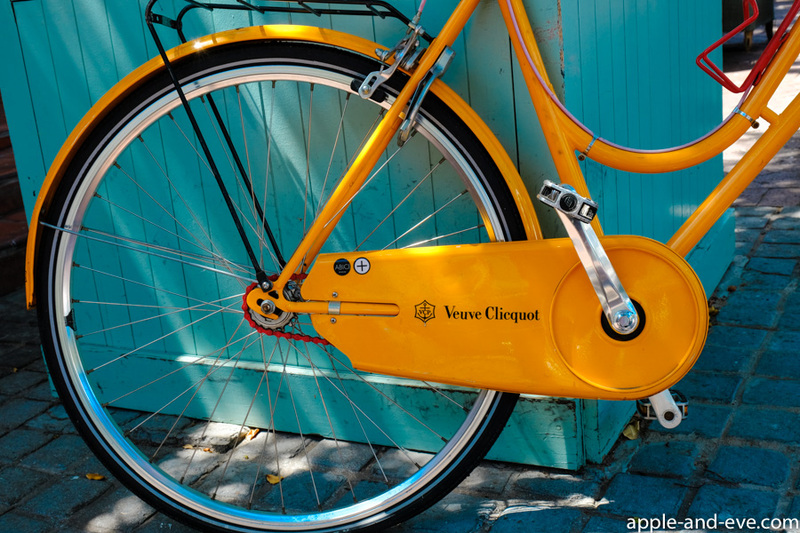 Who can resist a bicycle with a lovely red chain ? 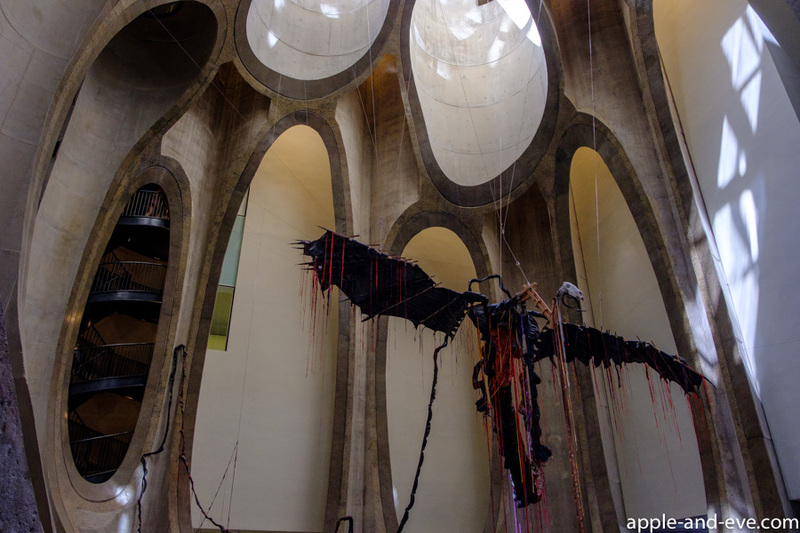 Moving on to the art gallery that we visited – the Zeitz Museum of Contemporary Art Africa. 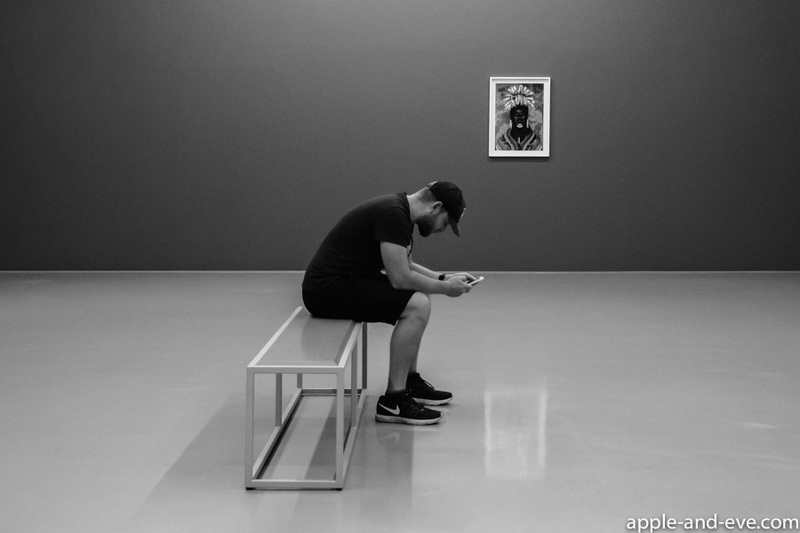 The architecture of the gallery itself is quite a piece of art by itself. 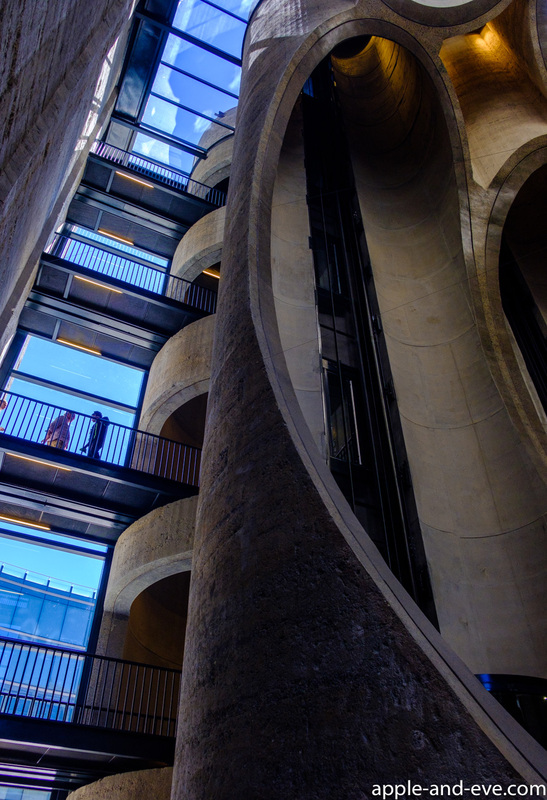 What makes the space more spectacular is that it used to be an old grain silo, built in the 1920s, and was once the tallest building in Sub-Saharan Africa. 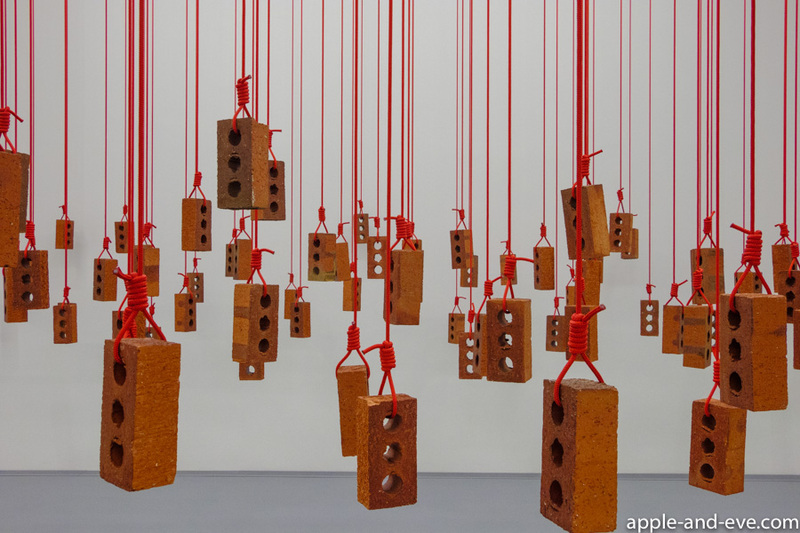 It has been ingeniously re-imagined and redesigned into what is no small architectural feat. 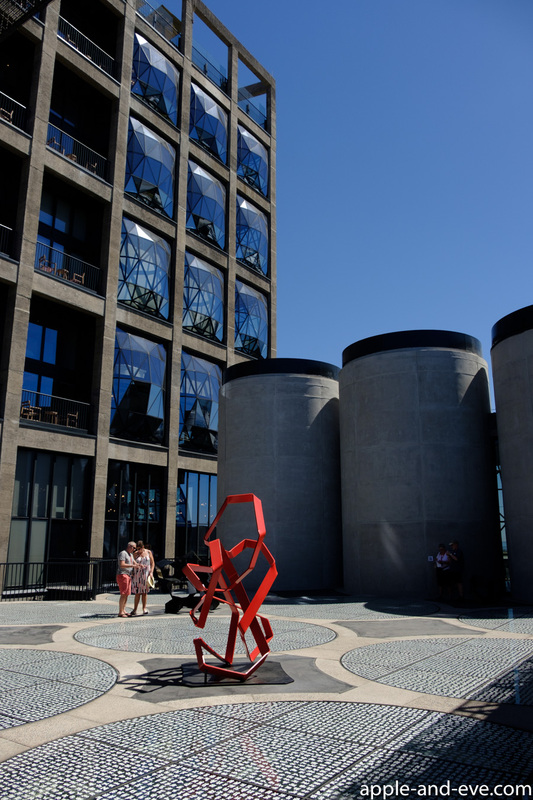 The design mind responsible for turning this mass of concrete into what is set to become a cultural landmark at the Waterfront, in Cape Town and on the continent, is renowned British architect Thomas Heatherwick. 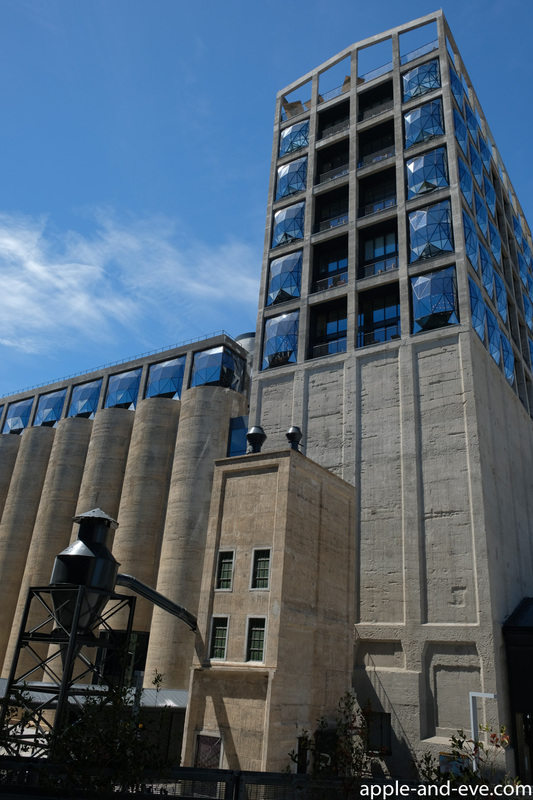 The old grain silo – the art gallery is the section to the left, with the Silo Hotel on the right. Looking upwards from the reception area. 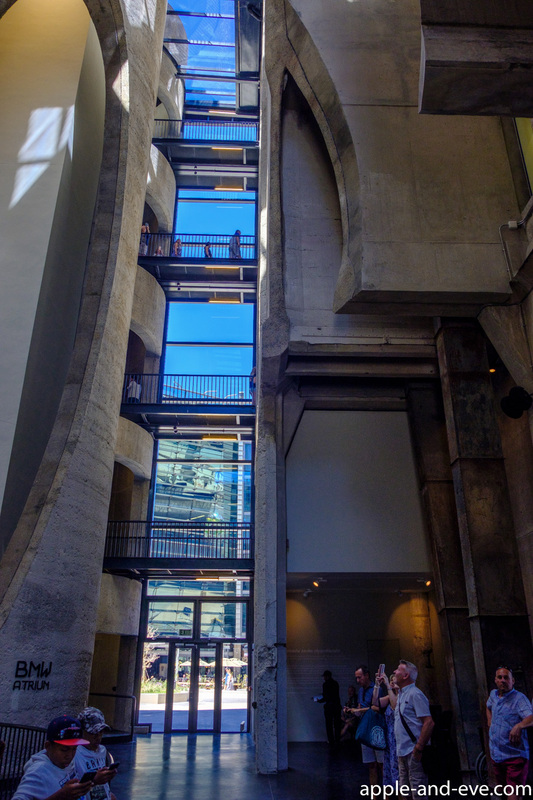 Elevators installed in old silos. On the roof top. The circular sections are glass inserts providing natural light inside. 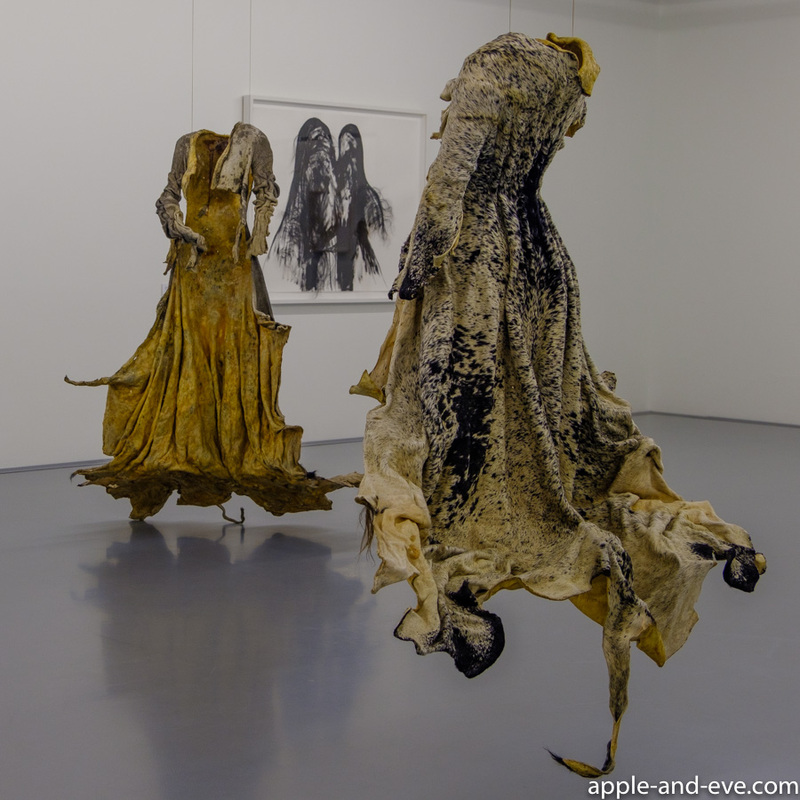 These pieces were made from animal skin. Ehh…. I’m not sure ! 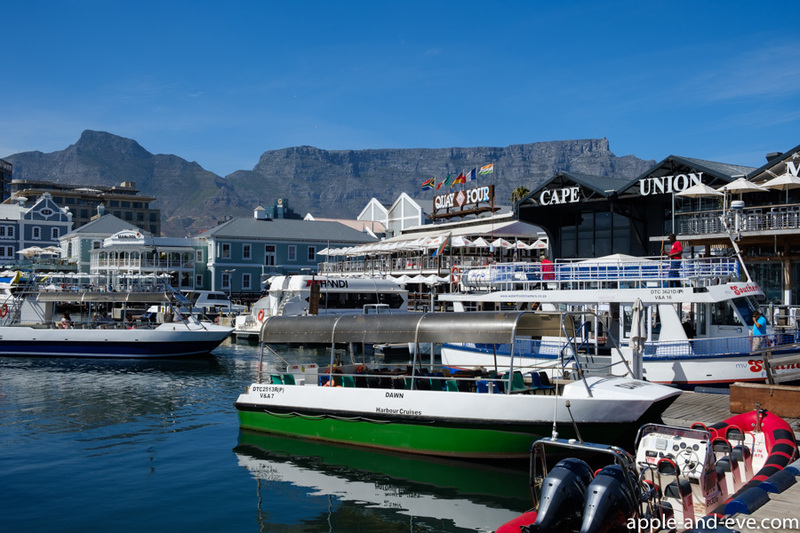 We really enjoyed our morning of playing tourist, and if you ever visit Cape Town, be sure to pay a visit to our magnificent waterfront. 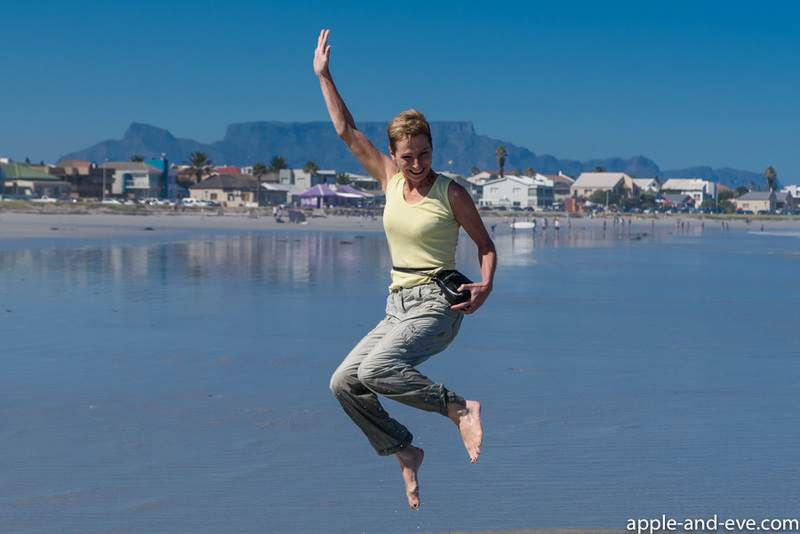 Yes – it is great to be a Capetonian!